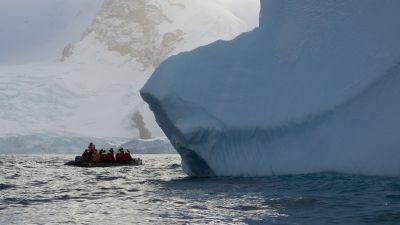 Our World A journey to Antarctica: "a pure form of exploration"
Exclusively for Travel Club, our Travel Editor considers the exploration of the Antarctic ahead of the summer cruising season, which starts there in November. The ice of the Antarctic is a reflective surface, throwing up a light so intensive and invasive that it has the potential to bring illumination within. The ice is a blank canvas. I try to maintain a blank canvas within. I wish pure environment to impress me and pure thought to impress upon the canvas within me. And the light this morning is pure and penetrating. What is now Antarctica was once the heart of the Gondwana supercontinent. It nestled in the middle, all other continents touching it. But all those continents (Australia, Africa, the Americas, India) moved away, leaving it in its splendid isolation. The only continent not inhabited by humans. There are no resident cultures. Blue ice. 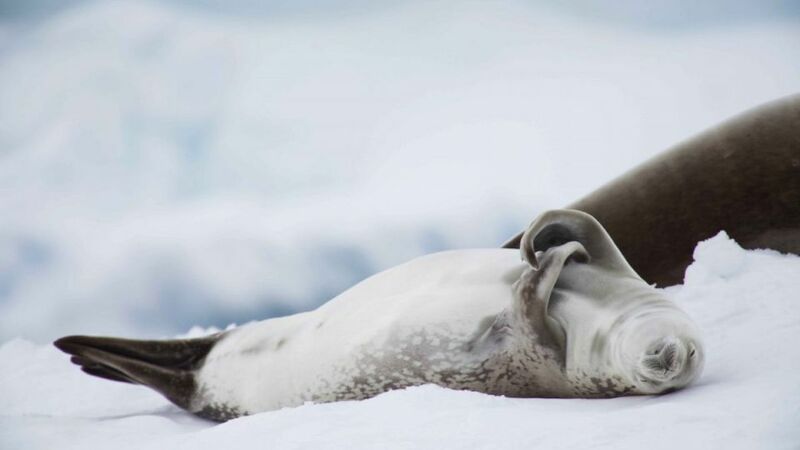 Cierva Cove, Antarctic Peninsula. Loading onto Zodiacs in falling snow. Paradise Bay, on the Antarctic Peninsula. Consider this — much of the great age of Western exploration was actually a process of translating, from one culture to another. Native guides, collectors, interpreters and scholars and the intrepid who confronted and immersed themselves in the ways and beliefs of other peoples. Even in Arctic exploration, the knowledge of local native peoples was important and employed. To achieve their goals, some Western explorers became, to some extent, white eskimos. None of this applied to Antarctica. There was no-one to learn from. There was no-one indigenous to be used. And in reporting on discoveries, there was no abundance of “new” species to be described and no specimens to be collected. There were no tribes to be observed and wondered at, and no artefacts. There was no prospect of conflict with resident cultures, and no potential for cultural exchange. There was just the ice. The telling of the exploration of Antarctica had to be different — the explorer was, and is, forced to look not out at what he was finding, but inward, and what he was discovering within. And with that came a pure form of exploration — there is not guilt; this truly is a terra nullius, in a human sense. The first explorers arrived in a place not owned. This is exploration more in the deep ocean, or interplanetary sense. Indeed, the Southern Ocean was the last of the world’s oceans to be explored, and Antarctica the last of the continents. It was James Cook’s voyage of 1772 to 1775 that really put Antarctica on the world stage. And the world had a thirst for it. Cook was perhaps the most notable of the 18th century circumnavigators, in an era where “explorer” had become a job description, and exploration an institution. Exploration, in this sense, was invented by Western society, just as modern science was, at the same time; just as the development of the ship came to fruition. These were timely and happy coexistences. But the exploration of Antarctica coincided with another important shift, from the intellectual era, born of the Enlightenment, in which Cook’s first great voyage was made, to the more delicate sensibilities of Romanticism. Explorers became more than the foragers for European empires that they had largely been, for example, during the unseemly Scramble for Africa — the Romantic era explorer was exploring in a more poetic sense. Reaction could only be from within, not through cultural exchange. The desire to embrace had no meaning in the great, white, hostile landscape. The only civilisation was what they brought with them. And all they brought with them, and in them, was simply reflected back. Ice. There was nothing more, but certainly nothing less. On the African of southern American continents, for example, explorers had to cope with over abundance of information — a lot to take in, understand, catalogue and report. In Antarctica, they faced a complete lack of it. Literature reflects all this — that of exploration in Africa, for example, is about people, culture and geography, that of Antarctica is about the journey to self-revelation. In looking for the benchmarks of the literature of discovery in Africa, I might turn to Joseph Conrad’s Heart of Darkness. Peopled by the characters of Marlowe and Kurtz and set in the dark core of Congo. Its literary landscape is one of description, of anguish, of analysis of the place and Western presence there. By comparison, Robert Scott’s writing is internalised and lyrical. Apsley Cherry-Garrad’s official record of the Terra Nova expedition, published in 1922, is called The Worst Journey in the World, and highly personalised — an autobiographical high drama more in the style of lyrical poetry. The Romantic, heroic age of heroic exploration had dawned and the Antarctic could not be ignored. Antarctica was the most forbidding continent, almost extraterrestrial. The reaction comes from deep within — from within us, just as personal and valid as it was for Scott, the Christian ascetic, artist and scientist Edward Wilson, who died alongside him, or for Endurance captain Ernest Shackleton. Because it is personal reaction, ours is as valid as theirs. To us, our internal journey can be as great. Antarctica is the world’s great cold sink. It converts liquids and vapours into solids, just as we might grasp ideas and notions, reactions and revelations, and set them down in words. Antarctica is a great energy sink. Antarctica is a great energy source.